Home > South East Queensland, let’s catch up! South East Queensland, let’s catch up! 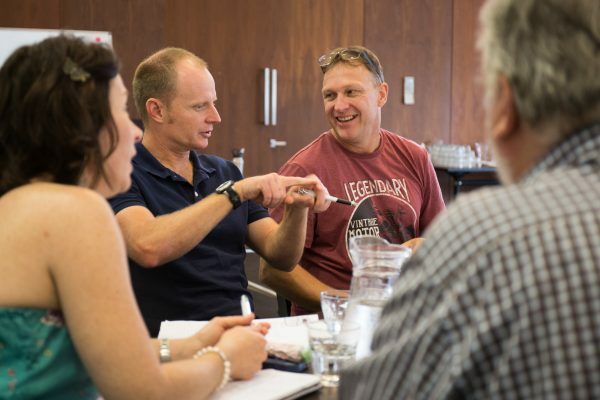 Healthy Land and Water invites you to join our experts in the 2018 Community Forums initiative. The Community Forums will be held following the release of the 2018 Report Card, an annual assessment of the pressures facing our waterways, their current environmental condition, and the level of social and economic benefits waterways provide to local communities. We’re hosting four Community Forums across South East Queensland (SEQ) providing you with the opportunity to join a roundtable discussion about the Report Card results, the implications, local observations and issues, and initiatives underway to address them. The Forums will be held between late November and mid-December and will also allow you the chance to share and discuss past and current projects in your region and raise opportunities for future projects. Our experts will also discuss how they’ll be undertaking an upcoming review of the SEQ Natural Resource Management Plan. There will also be discussion around the 2019 National Landcare Program. Register your attendance by clicking on the forum most convenient for you. Or, you’re welcome to come along to all! For more information, contact your local Healthy Land and Water representative or call Jenn Meyer on (07) 3177 9130.